The old gives way to the new! That’s the rule of the nature and Bollywood is no exception to this rule. As the yester years actors turn middle aged, new and young actors are ready to take over the mantle from them. Let’s look at the new and fresh breed of actors who are carving a niche for themselves in Bollywood and are going places. 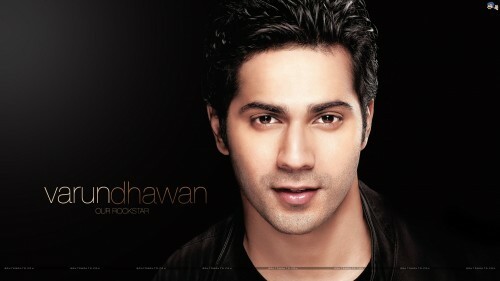 Varun Dhawan : Director David Dhawan son, Varun made his debut along with Sidharth Malhotra and Alia Bhatt in Student of the Year. By making perfect use of his inherent naughty streak in Main Tera Hero, Varun got instantly compared with Govinda, who once ruled Bollywood. He has been appreciated for his screen presence, comic timing and dance skills. Humpty Sharma Ki Dulhania. Badlapur, ABCD 2 and Dilwale are the various movies where he explores his acting range. Sidharth Malhotra : He made his debut in Karan Johar’s Student of the Year which was a commercial success. Siddharth has a deadly combination of good looks and intensity that makes girl swoon over him. In all his movies Hasee Toh Phasee, Ek Villain, Brothers and now recently, Kapoor and Sons, his performance has been appreciated. Ranbir Kapoor : His debut film was Saawariya for which he win the Filmfare Award for Best Male Debut. He went on to earn critical acclaim for his performances in Wake Up Sid, Rockstar, Barfi, Rocket Singh, Raajneeti, Anjaana Anjaani, Bombay Talkies, Jeh Jawaani Hai Deewani, Besharam, Bombay Velvet and Tamasha. Ranbir is superbly talented and experiments in each and every movie. Ranveer Singh : He rose to fame with his debut film, Band Baaja Baraat as Bittoo and Filmare Award for Best Debut. All of his films since then have been successful, with Goliyon Ki Raasleela Ram-Leela in 2013 being his biggest commercial success. His other movies, Ladies vs Ricky Bahl, Lootera, Gunday, Finding Fanny, Kill Dil, Dil Dhadakane Do and Bajirao Mastani have been hits too. Arjun Kapoor : Son of Boney Kappor, Arjun is pretty talented. Arjun has been picking different kinds of roles to show his range as an actor in his movies viz Aurangzeb, Gunday, 2 States. Finding Fanny and Tevar. His Next film Ki and Ka opposite Kareena Kapoor will be released shortly. Shahid Kapoor : The cute little boy from the Complan days has come a long way to become a matured actor. Shahid made his acting debut in Ishq Vishk (2003) and won a Filmfare Award for Best Male Debut for his performance. Shahid is known for his intense acting and great dancing skills. His movies Vivah, Jab We Met, Kaminey, R… Rajkumar, Haider, Phata Poster Nikla Hero have been pretty successful and explores his acting skills. Who is your favorite from these Bollywood Young Actors?